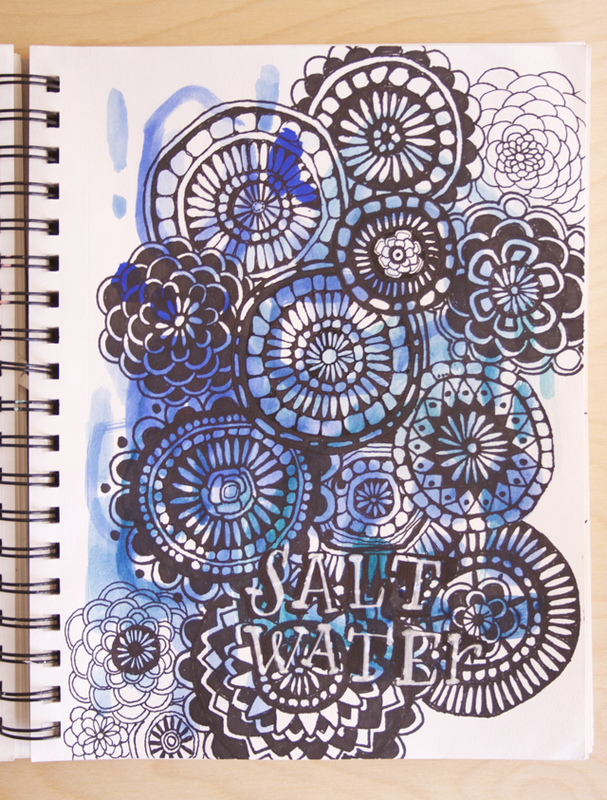 I've been a huge fan of Alisa's sketchbook and art journal posts for years. And if you follow along here on her blog, I'm sure you feel the same way! 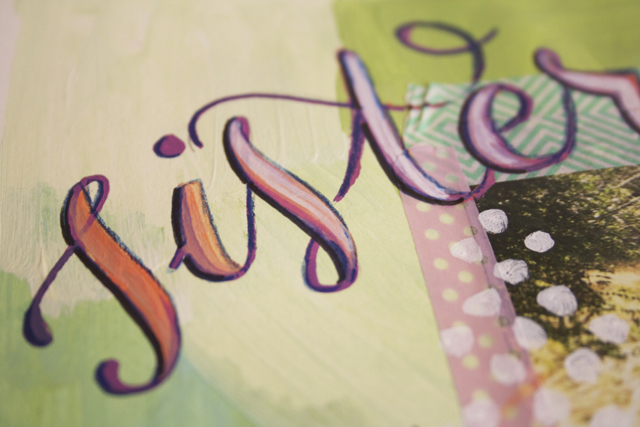 The pages in her books are just stunning and overflowing with inspiration. 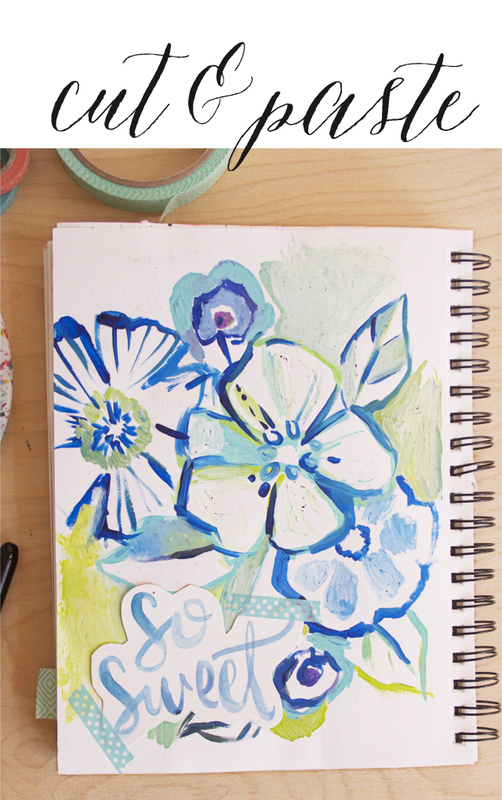 My first tip is pretty simple: just because it didn't originate in your art journal, doesn't mean it can't end up there! I have TONS of lettering sketches and doodles all over my studio that have no home. I draw things on the back of napkins, in my planner, and in other notebooks that are not designated art books. Some things I do real quick in order to scan and add to a digital project, and others were done while in a waiting room or on a plane. So instead of these little snippets of creativity being lost or thrown away, I love adding them to half finished pages in my art journal. 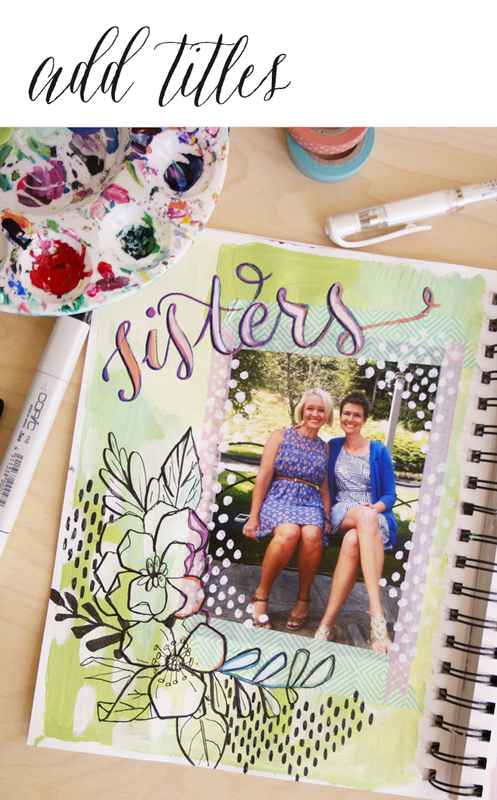 Use washi tape, masking tape, glue...whatever. 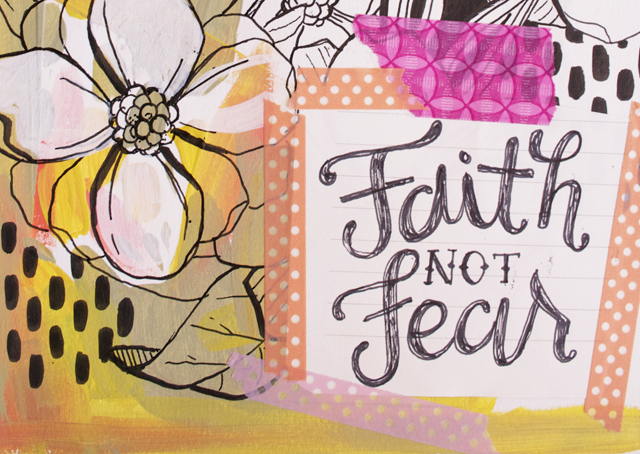 But don't let your lettering end up in the trash. 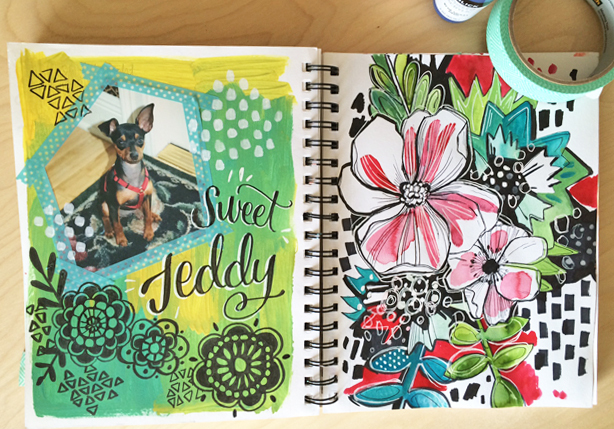 Play with ways to incorporate it into your art journal time! 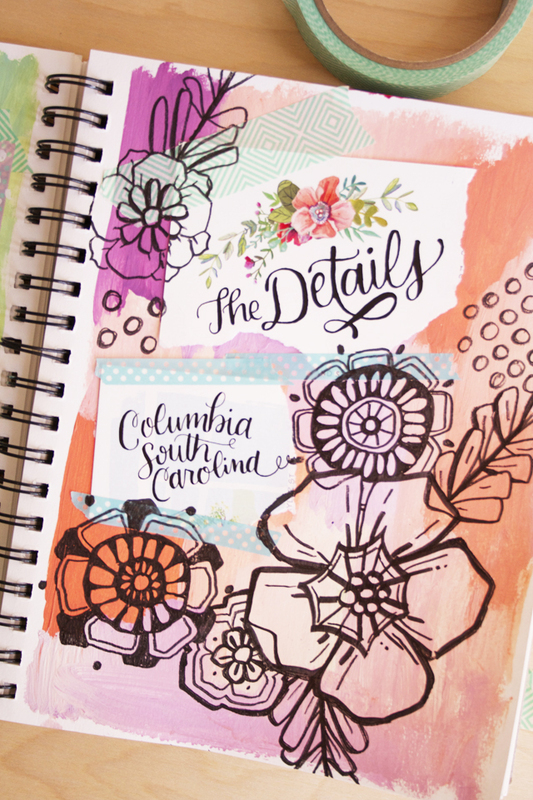 My 2nd tip is this: if you want to add lettering to your art journal, but don't know what to write, think of simple titles or themes for your page. I love adding just one word to a page when I've used a photo. It's simple to come up with something (a name, a place, etc). and personalizes the page. Try to find ways to make the lettering stand out without competing with the photo. 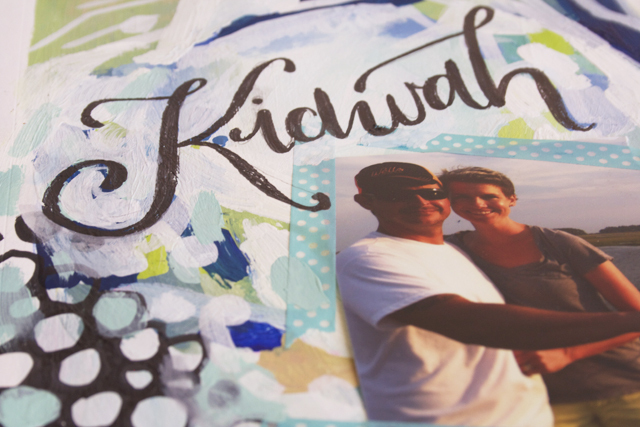 Experiment with layering and using different materials on top of the paint, photos, and tape. And Tip #3 is this: practice drawing short phrases. I like to add Bible verses, lyrics to songs, or just random words floating in my head, but if I'm drawing the letters, I try to limit the length. It's easier to visualize sketching out 3-4 words than an entire song. If you have more to say, just write! Save the hand lettering for words that deserve emphasis. Below, I had a list of things to make swirling in my head. 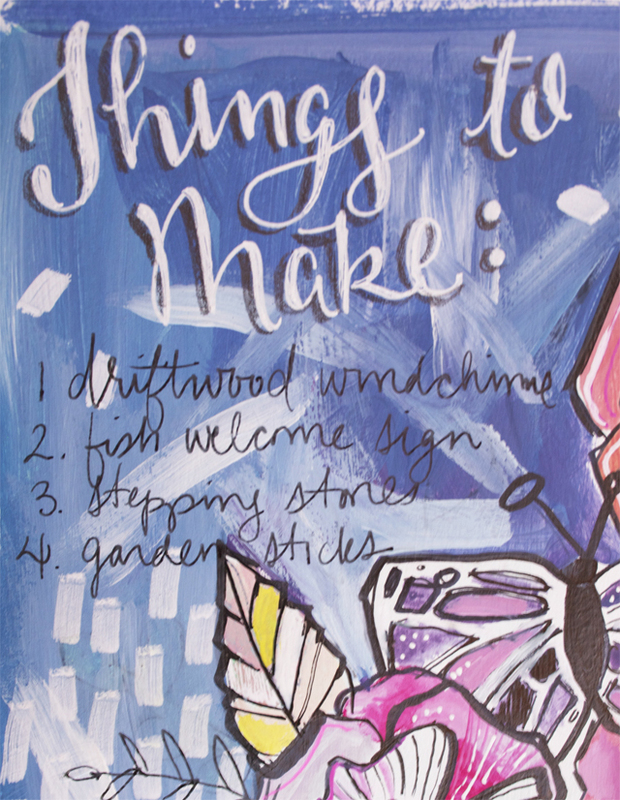 Instead of drawing out every thing on the list, I hand lettered the title and then wrote the list quickly. 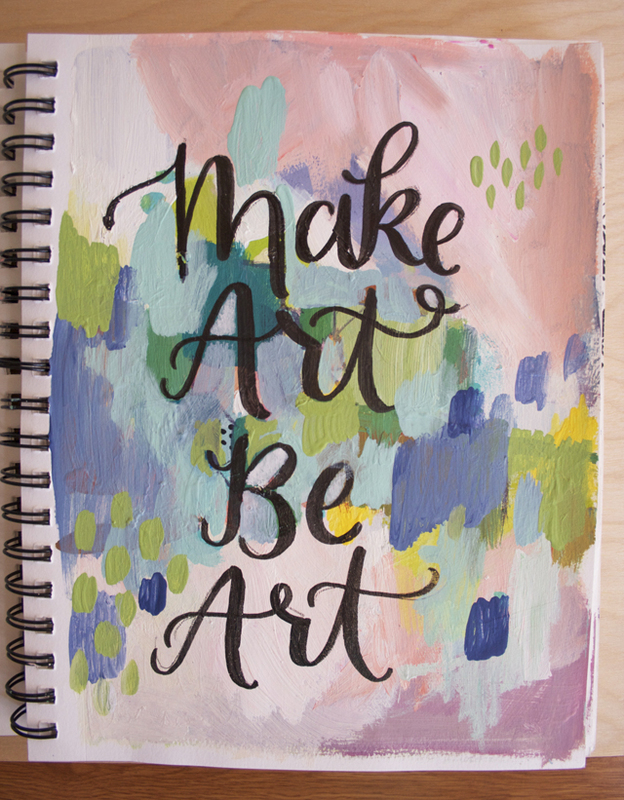 So play, experiment with supplies, and remember to just enjoy the creative process! 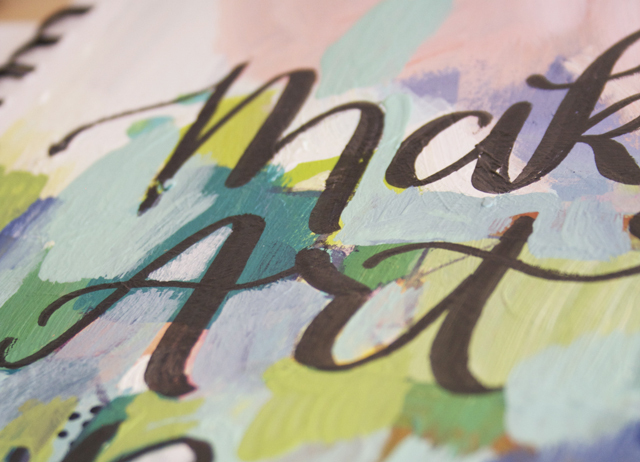 Remember to use #redefinecreativelettering to share your work! I can't wait to see what you create. 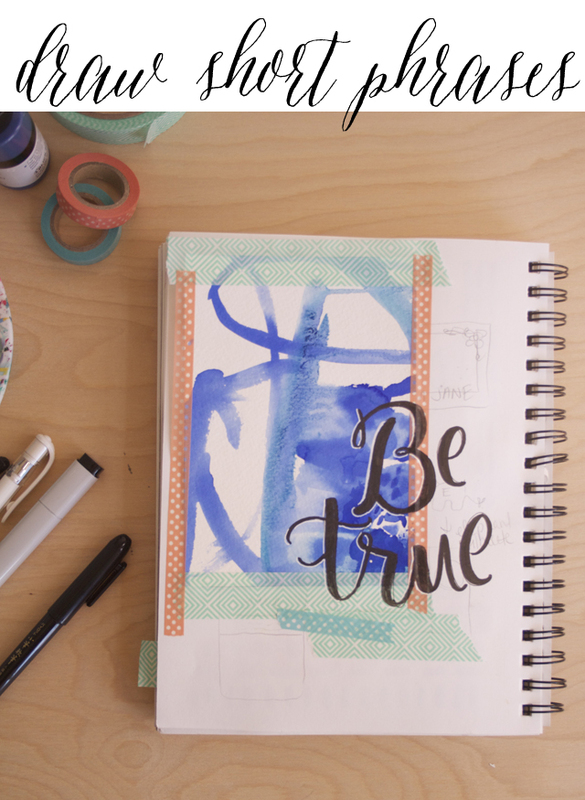 Gorgeous pages and great advice! 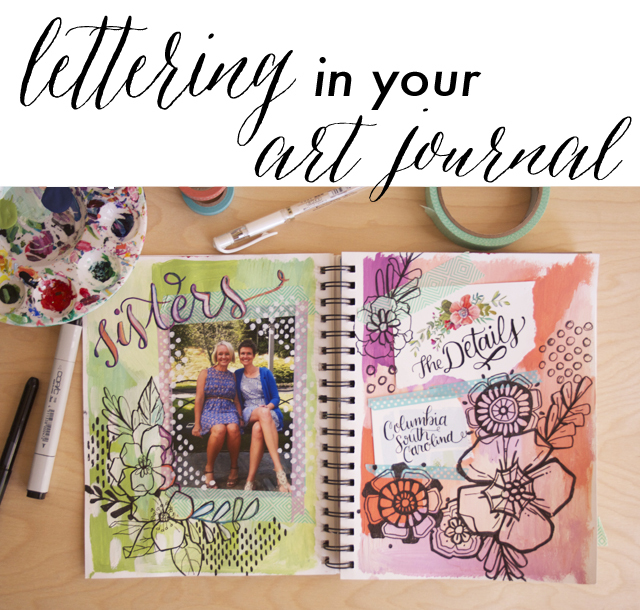 This post was just what I needed to go from "I guess I need to practice my lettering" to "Wow, I can't wait until tonight when I'll have time to practice lettering!" Your pages are powerful and inspiring. Thanks for posting this. I love your posts! 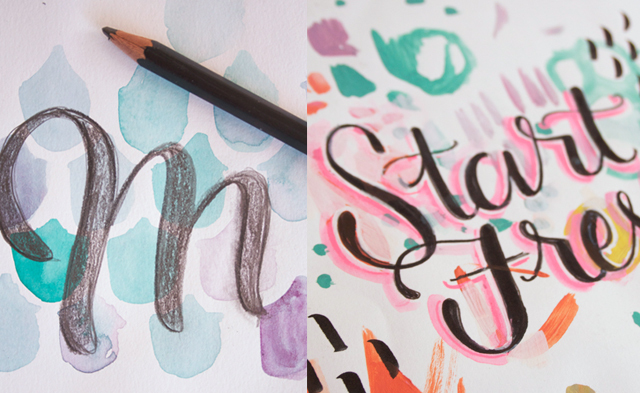 I have learned so much about brush lettering. I continue to practice and look forward to your posts. Thanks so much! 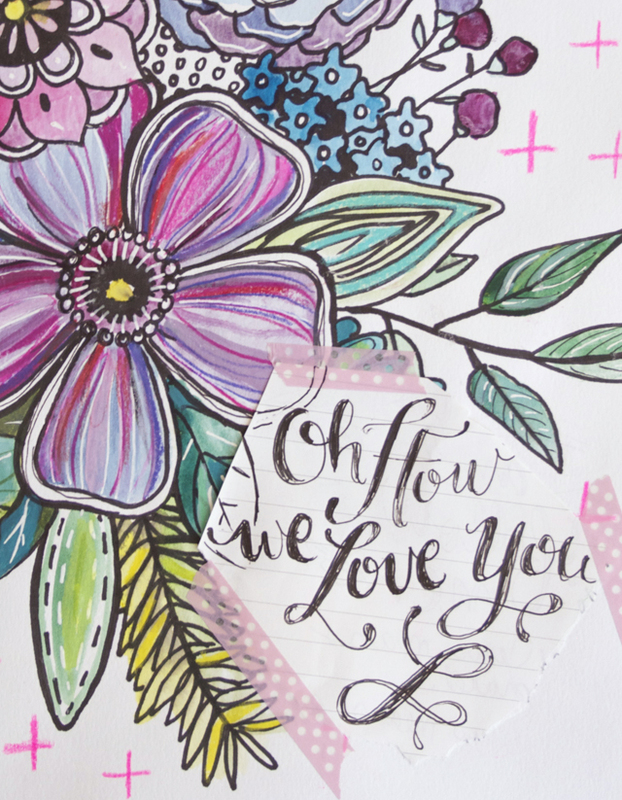 I just LOVE Megan's guest posts!! Yes! 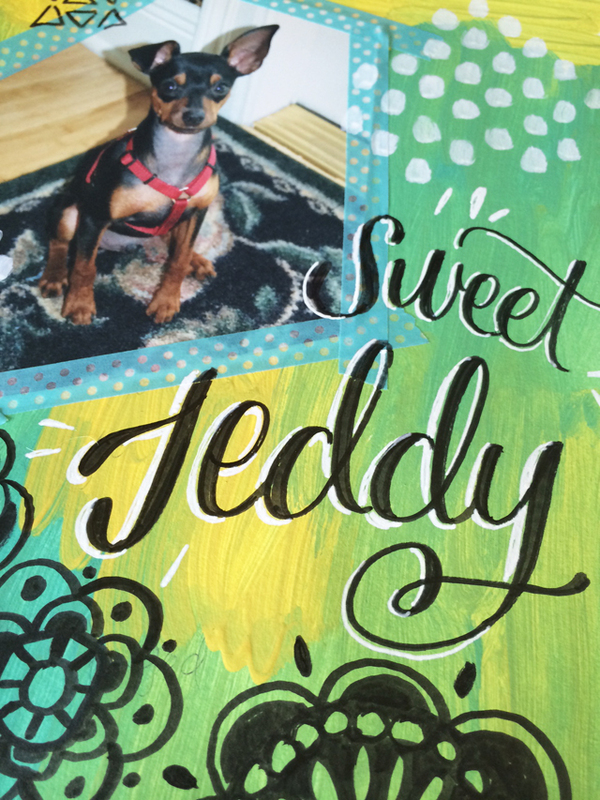 He was our first min-pin but just passed away. =( Now we have George, another min pin! Love them!